The extra virgin olive oil "Argento" (Silver) was born on the slopes of Monte Amiata, 350 m above sea level in an area rich in history, scents and flavors where Nature gives Man prestigious varieties of plants and olives. It's produced in the farm mill with innovative methods that allows the preservation of all the flavors of the olives using renewable sources to produce it. "Argento" is prepared by following an accurate field selection of the perfect point of growing for the four varieties composing the blend: the famous Olivastra Seggianese, Frantoio, Leccino and Correggiolo are all coming from the classic Tuscan tradition. This combination is a secret study from Davide Borselli the olive oil maker, the perfect time picking, the right percentage of the four varieties combination, the right time and temperature during the extraction. By the name you can imagine the elegance and importance of that oil produced with great care and respect for the environment by its creators Family Borselli. 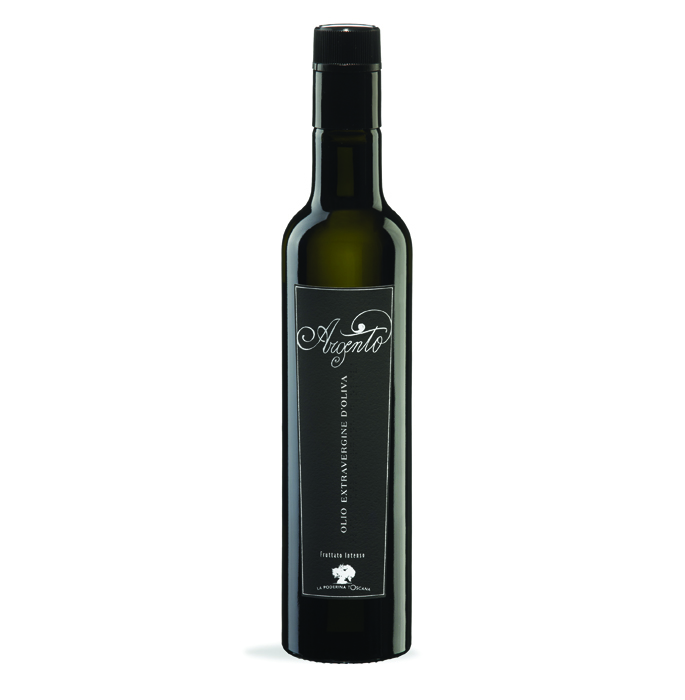 "Argento" is an intense fruity olive oil and is characterized by its intense smell, complex of green grass freshly cut stem of artichoke and delicate almond and pine nuts. The blend of cultivar choices determines a harmony pleasing to the nose and on the palate, fine and elegant, unable to resist his gentle persistence for several seconds. To taste it, fresh is always the best choice. A very simple bruschetta (with tomato), with a Parma D.O.P. sweet ham and lemon. Very special with fresh fish (blue and cod fish) or to improve the complexity of mushrooms and vegetables soups; with ravioli (stuffed with fish or vegetables), or to complete the bistecca fiorentina. Australia, Austria, Belgium, Denmark, Germany, Japan, Switzerland, U.S.A.